long life. Cuts clean dadoes and grooves in these widths: 3/16", 1/4", 5/16", 3/8", 7/16", 1/2", 9/16". 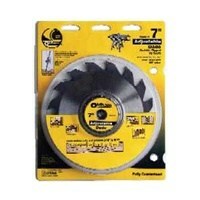 Not for use on saws with an arbor less than 1-3/8" .